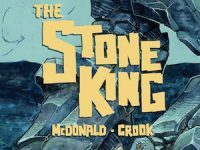 A young pickpocket gets more than she bargains for when she steals a giant ruby from the back of the enigmatic Stone King himself (who is like a rocky Tree Beard meets The Iron Giant). 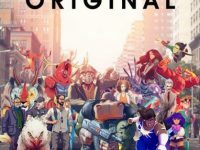 Digital comics giant ComiXology have turned publisher with their new collection of ComiXology Originals. This opening collection of four titles include all ages superhero adventure Super Freaks; a new series of Richard Starkings’ long running Elephantmen; a Starkings original called Ask For Mercy; and Savage Game from NFL player Ryan Kalil.